People who are overweight and those infected with hepatitis C are at an increased risk of developing deadly liver cancer, say scientists.The studies illuminate the importance of identifying people with risk factors in certain populations to help catch the disease in its early, treatable stages. 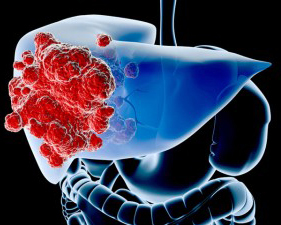 What is Liver Cancer ? The Liver continuously filters blood that circulates through the body, converting nutrients and drugs absorbed from the digestive tract into ready-to-use chemicals. The liver performs many other important functions, such as removing toxins and other chemical waste products from the blood and readying them for excretion. Because all the blood in the body must pass through it, the liver is unusually accessible to cancer cells travelling in the bloodstream. When cancer develops in the liver, the cells change and grow in an abnormal way. As the cancer grows it forms a group of cells called a tumor. This tumor can cause a blockage and result in symptoms like pain and jaundice. When cancer starts in the liver, it is called primary liver cancer. 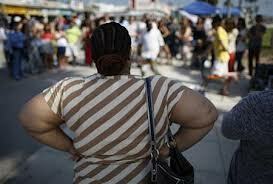 But when cancer starts somewhere else in the body and spreads to the liver, it is called secondary liver cancer.